Destroyed U.S.S. 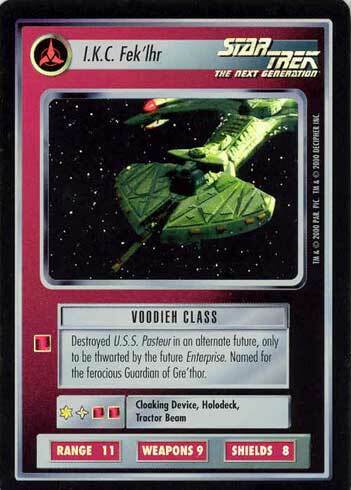 Pasteur in an alternate future, only to be thwarted by the future Enterprise. Named for the ferocious guardian of Gre'thor.